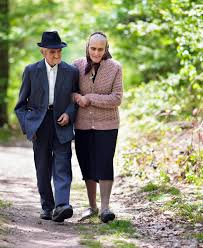 Ageing is associated with progressive decline in overall muscle strength & bone loss. Bone deterioration happens silently and progressively. Studies have shown that bone loss starts from the age of 30–40 years in both men and women. In women, it has been researched that menopause is followed by an immediate decrease in bone mass and density within a year. This increased rate of bone loss reaches equilibrium approximately 10 years after menopause and then merges into a continuous age-related loss Worldwide, it is estimated that 1 in 3 women above the age of 50 will experience osteoporotic fractures, as well as 1 in 5 men. India with a population of 1.2 billion people is the second most populated country in the world with approximately 10% of the population (more than 100 million) over 50 years of age. A study in Delhi estimated the prevalence of osteoporosis as 24.6% in men and 42.5% in women above 50 years of age. It is defined as thinning and weakening of the bone to a point that they become prone to fracture and breakage. Who are at the risk/risk factor? Though this problem can happen at any age, it mostly affects the older age group. The risk of osteoporosis increases with age. The bone becomes thinner, brittle, and fragile. With the ageing process. Age group considered most prone is >50 years. Females are at the higher risk for developing osteoporosis. The female hormone estrogen is known as a beauty and vital hormone for the bones and Collagen. As the lady hits the menopausal phase this hormone starts to decline due to which risk becomes ten folds. It is advisable to take proper precautions and dietary intake with consult with professionals. 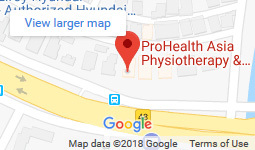 Here At Prohealth Asia, New Delhi we have a geriatric specialised physiotherapist and Nutritionist. They can advise you about lifestyle modifications. Osteoporosis has been found to be inherited from the family, if the family member had a history of fracture then the chances of getting weakened bones doubles regardless of the bone density. Obtaining sufficient Vitamin D from natural foods sources alone is difficult. These days everyone spends maximum time indoors. Air conditioning is also gaining popularity with better standard of living and hence lesser exposure to the sunlight. If you are not getting enough Vitamin D then it affects absorption of Calcium in your Body as well. At Prohealth Asia, New Delhi we have an inhouse Nutritionist to guide you for dietary modifications. People who smoke absorb less amount of calcium from the diet. Reduces the blood circulation in bones and muscles, which in turn reduces the bone density and making the bone more fragile. In women, it reduces the estrogen levels. With ageing, the neuromuscular system becomes lethargic and weak, the only way to prevent it from deteriorating further , is with exercise. Sedentary lifestyle promotes or enhances the process. Drugs mentioned below can increases the risk of osteoporosis, so before starting with your medications, Ask your physician or concerned health care professional about the impact of prescribed medicines on bone health. How osteoporosis is diagnosed and evaluated?? Your doctor will prescribe the few bone tests for evaluating the risk of fracture along with blood test for serum Ca, Vit B12, magnesium, phosphorus. Ideally, a person should keep on tracking these above-mentioned markers as routine checkup post 50 in men & post menopausal in women. These tests will tell you about your neuromuscular system health. Let's discuss the other radiological tests. It measures the bone mineral density (BMD). It shows the amount of x-rays absorbed by tissues and bone is measured by the DXA machine and correlates with bone mineral density. The machine converts raw density information to your T score and Z score. The scoring is done on the basis of your T-score and Z-score. If you progressively do loading of the muscles during resistance training they will adapt to become bigger and stronger. Stronger muscles will preserve the capacity to carry out daily tasks and maintain our quality of life when we are older. Resistance training increases bone strength and density, reducing our risk of a fracture during a fall, for example, Increased levels of endurance, strength and balance increase the threshold for disability and dependence as we age. Regular exercise for at least 30 minutes each day improves one’s overall mood and mental health. Research has shown that long-term cardiovascular exercise increases the serotonin levels in the brain. Serotonin is a hormone released from the gut lining ,it acts as a mood and mental health booster. It is generally found to be lower in neurological conditions like Parkinson's. Senior or Geriatric Group exercise programmes are offered at the Prohealth Asia Physiotherapy center at New Delhi centre. This programme offers a wide range of exercises designed specifically for the older age group inculcating all the components such as balance stability, flexibility, endurance. For stronger muscles and bones, older adults should do at least 2 hours and 30 minutes a week of moderate-intensity, or 1 hour and 15 minutes a week of vigorous-intensity aerobic physical activity, or an equivalent combination of both. You should perform an aerobic activity in episodes of at least 10 minutes, and preferably, spread it throughout the week. Inactive and sedentary lifestyle should be discouraged Some physical activity is better than none, and older adults who participate in any amount of physical activity gain some health benefits. For more extensive health benefits, they should increase their aerobic physical activity to 5 hours a week of moderate-intensity, or 2 hours and 30 minutes a week of vigorous-intensity aerobic physical activity, or an equivalent combination of both. Muscle-Strengthening activities should be performed in moderate or high intensity and involve all major muscle groups on 2 or more days a week, as these activities provide additional health benefits.